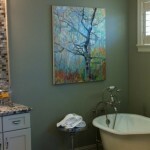 The mission of our custom art services is to create “perfect pieces of art” to enhance your space. 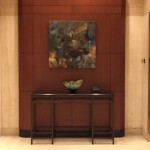 We work closely with collectors, designers, corporations and organizations to reflect their specific needs. Using your inspirations, we can create paintings in most mediums, styles including representational, abstract, or impressionist. 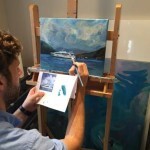 Our artists can create contemporary or traditional landscapes, seascapes, abstracts, portraits, or sculptures. 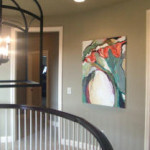 With our complementary Art Consultations, we guarantee that you will love the finished artwork. 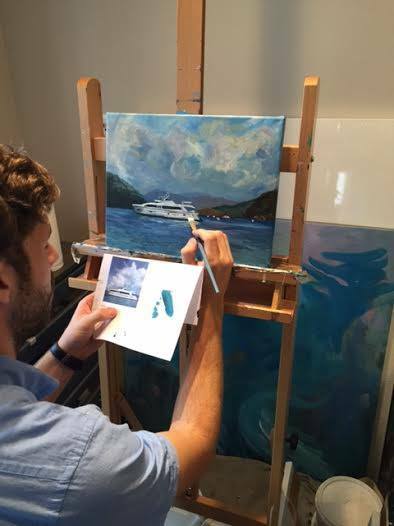 All our gallery artists are available to create custom artworks. In addition to our gallery artists, Terra has an in house studio which is capable of creating custom pieces in most any style and medium. To contact us for a complimentary consultation, simply call/email us or fill out the form below. 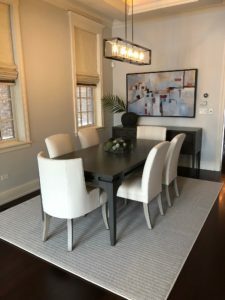 A recent commissioned piece for an interior designer client. 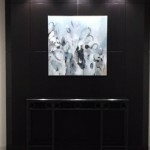 This acrylic abstract found its new home in Chicago. 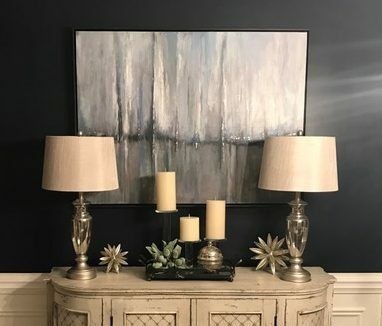 This abstract painting is one that our in-house artist did specifically for the clients dark blue wall. 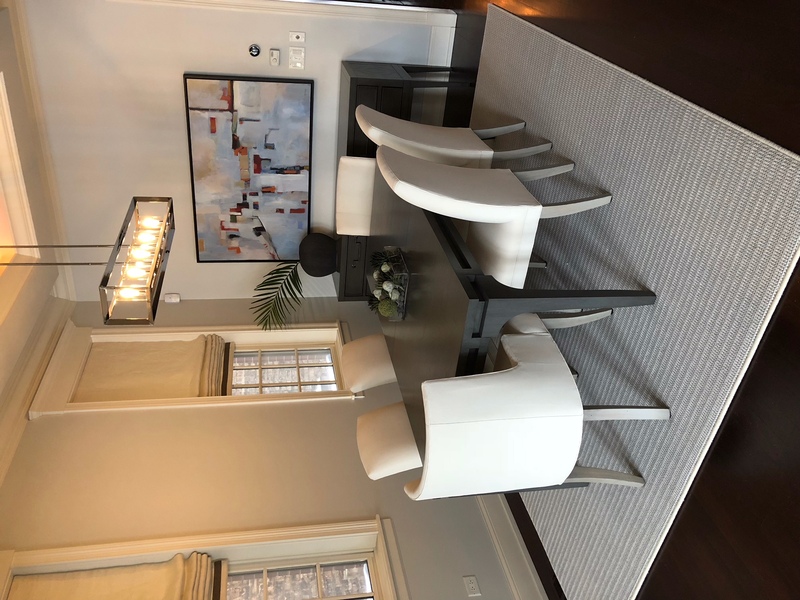 Working with our client’s interior designer, we were challenged to created a piece that had both realism and abstraction (to reflect each of the owners’ style preferences). 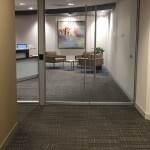 Our artist added elements of blue to adhere to the design request to compliment the navy walls. 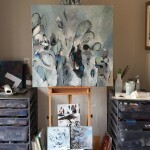 Silver leaf was added to provide further dimension and interest to the piece. 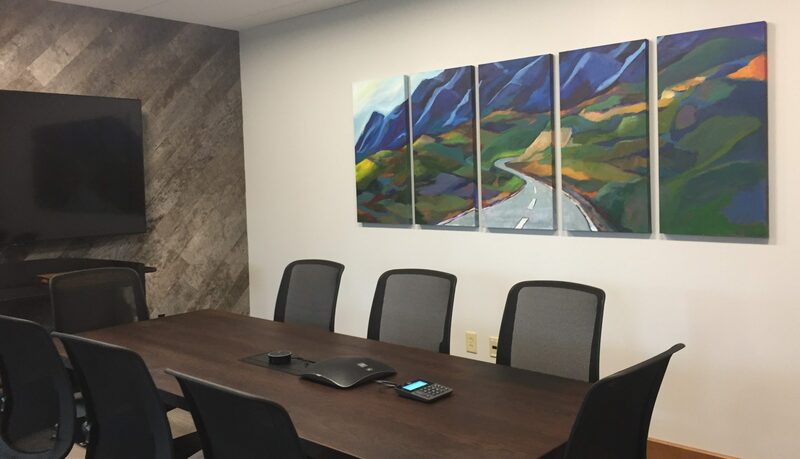 Recent conference room installation for ODW Logistics. Terra’s artists works with clients to create unique concepts and art to help corporations reflect their missions while adding ambiance for employees and clients to enjoy. “Just a note to say thank you for your services and professionalism you provided while completing three (and soon to be four) commissioned paintings. The final products were as good, if not better, than I expected. 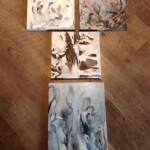 The paintings captured both the emotional as well as the physical elements I requested. 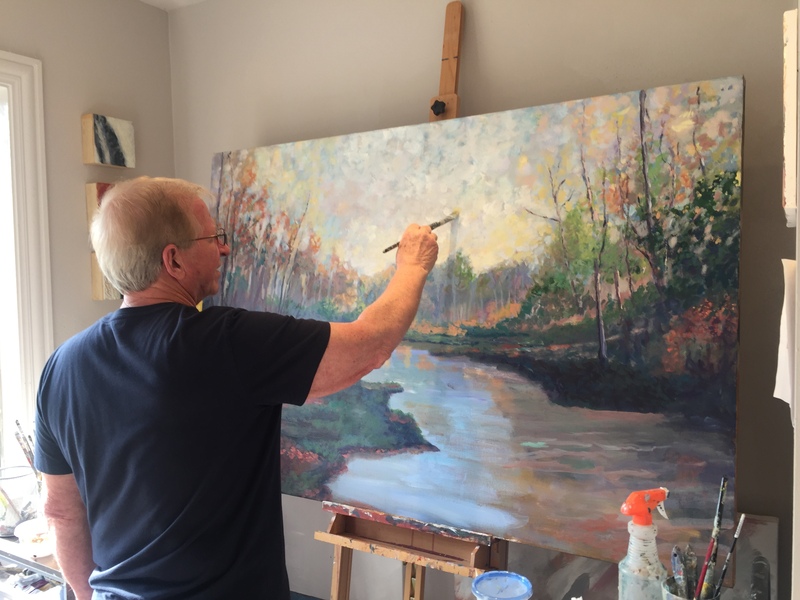 Your attention to detail and mastery of colors, tones, shapes, light placements and depths are showcased in each painting. Each painting is a memorial from the past that can now be passed from generation to generation.